Finished hardwood flooring ready to be shipped, all with “Made in Portsmouth, Ohio” stamped on the boxes at Graf Custom Hardwood in Portsmouth. Workers at Graf Custom Hardwood processing wood on the assembly line. Making quality wood flooring has been in the Graf family for three generations. In the 1950s, Bob Graf purchased Taylor Lumber in McDermott. His sons continued the business and eventually opened other businesses, including Grafco and Graf Brothers Flooring in South Shore. More recently, Appalachian Hardwood Flooring was opened in what used to be a brick refractory plant in the east end of Portsmouth. Part of the firebrick building is still being used by what has now become Graf Custom Hardwood. Bob’s son Jim had a hand in starting the new plant in Portsmouth, which is now operated by his son, Andrew. Andrew said between the Portsmouth facility, their shipping warehouse and their processing plant at the Taylor facility, the company employees over 200 local workers. He said many of his workers are “second chance” employees, meaning they may have made a mistake in their life and are trying to get back into society. He said his human resources department works with agencies such as Community Action and the Counseling Center to help get people employed. 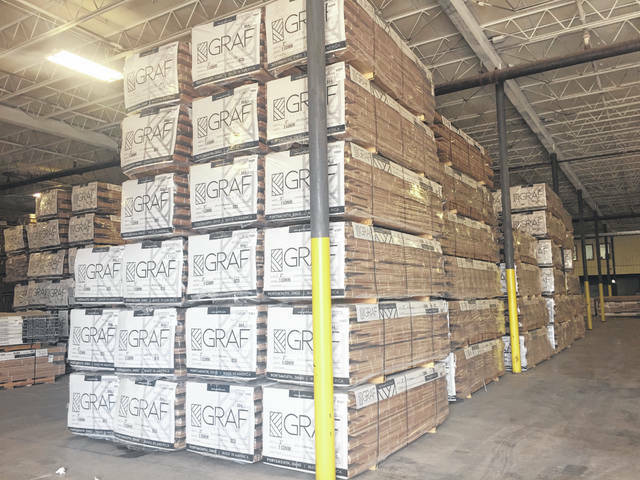 Graf Hardwood Flooring, although they will sell an individual products if they stop in, their mainstay of business is that of supplying large orders and shipping them, not only across the country, but around the world. Every box that leaves the shipping warehouse has “Made in Portsmouth, Ohio” stamped on the side in large letters. The company is currently producing hardwood flooring for the largest apartment building in the world which is being constructed in New York City. Graf said the order is huge, saying every construction worker sees Portsmouth, Ohio when they open a box of flooring there. Graf said in addition to his operation, he still works closely with his uncles, Greg and Dave in South Shore. He also said although his father tries to retire that he brings him back from time to time as well. He said his father started him in the business at around the age of 10 when the family had Grafco in Friendship. He said his plans are to continue to grow and put more local workers on the payroll. He said the biggest thing standing in his way is filling the positions that would allow him to move forward and keep on growing. https://www.portsmouth-dailytimes.com/wp-content/uploads/sites/28/2019/04/web1_Graf-1.jpgFinished hardwood flooring ready to be shipped, all with “Made in Portsmouth, Ohio” stamped on the boxes at Graf Custom Hardwood in Portsmouth. 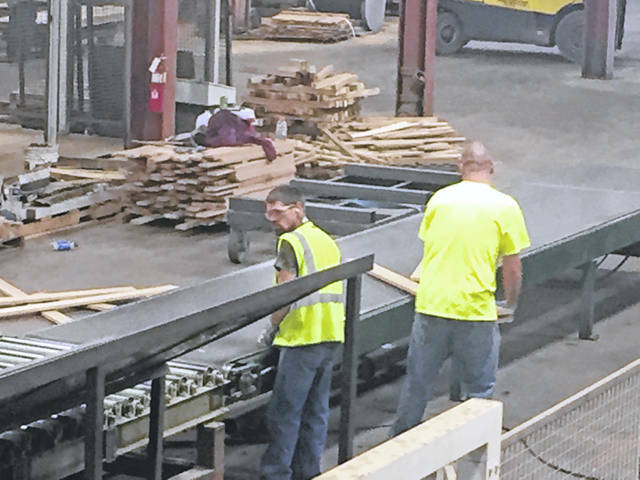 https://www.portsmouth-dailytimes.com/wp-content/uploads/sites/28/2019/04/web1_Graf-2.jpgWorkers at Graf Custom Hardwood processing wood on the assembly line.